Have you forgot your Dell laptop password? Then no need to worry about it. Because there are several ways to unlock the computer without knowing the password. And, in this article, you"ll get to know about all methods in details. Dell laptops come with many security features. Apart from Windows password, you can secure your laptop with the fingerprint. And, if you're security conscious like me. Then maybe you also like to change the password every week. So, it's normal to forget laptop password. If your laptop is under warranty, then you can take it to the service center. But, you'll lose all your important data because they are gonna either reset your laptop or reinstall the OS. And, I am sure, you don't want to lose any of the data. If you're using the latest version of Windows (assuming Windows 10 or Windows 8). Then chances are high that you're using Microsoft Account to secure the Windows. If you have access to the connected email account to your Microsoft Account. Then, with this method, you can easily reset the password. Step 1: On the password login screen, Click on "I forgot my password" option. Enter captcha code in the second field (Characters you see) and click on next. Step 2: Now, within a few seconds, Account recovery window will appear. Microsoft will now ask to verify your identity. It will show you a few characters of your connected email account. You need to enter complete email ID. And then, click on "Send Code". Step 3 : If you enter right email ID, you"ll receive a security code on that email. Enter that code, and click on "Next". That's. Password reset Window will appear now. You just need to enter the new password and click on "next" button. After that, you can log in through the new password. If you're using Windows 7 in your Dell laptop. Then, this method will work for you. Though, only 5 out of 10 users able to bypass the password using this method. However it's still worth trying. Warning: This only works if there are other admin accounts existing on the same computer. Step 1: Remove all CD/DVD or other peripheral devices from the laptop. Step 2: If the laptop is currently on, then hold down the power key for a few seconds to turn it off. After that, Press the power key now to start the laptop. And, immediately keep pressing the F8 key. Step 3: Within a few seconds, you will able to see certain boot options. 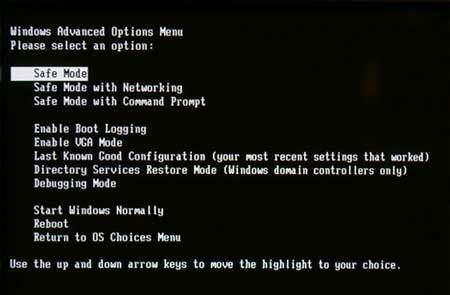 Highlight the "safe mode" option using the arrow keys. And then, press enter to boot into the safe mode. Step 4: If there is multiple administer account added to the computer. Then, select the default admin account. Now, simply leave password field blank, and press enter. If you're lucky enough, and able to login into Windows. Then, you can reset Windows password by going into Control Panel > User Accounts. IMPORTANT - There is one more method which Dell service center does use. With the Dell recovery manager, you can remove the password from your laptop. But, it will remove files from your primary disk. That's why I don't recommend this method. Though, If files aren't important to you, then you can search for this method. If the above two methods didn't work and you don't have much knowledge about computer, then Androidphonesoft Windows Password Recovery software is best choice for you. It is an award-winning password removing tool and has been downloaded by thousands of frustrated users who forgot the login password. In addition, it spots at the top from the top 10 password recovery program list. Androidphonesoft allows creating password reset disk without knowing the old password. It works with all versions of Windows (Vista, XP, 7, 8 and 10). While resetting the password you don't need to install any additional tool. The software works without CMD. The best thing is that it is compatible with the Dell laptops and PCs. So, you don't need to worry about it will work or not. The software is not only can reset the local account password. 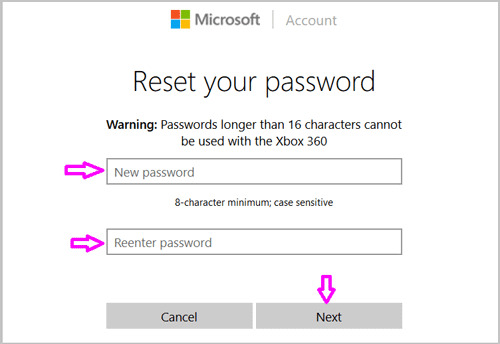 But with the advanced version of it, you can reset Microsoft account password. Download and install Windows Password Recovery on another working computer. When it is installed correctly, you will see the main interface as the following screenshot. Insert a blank CD/DVD disc or USB Drive. And, create the password reset disk by clicking the corresponding buttons located at the screen. 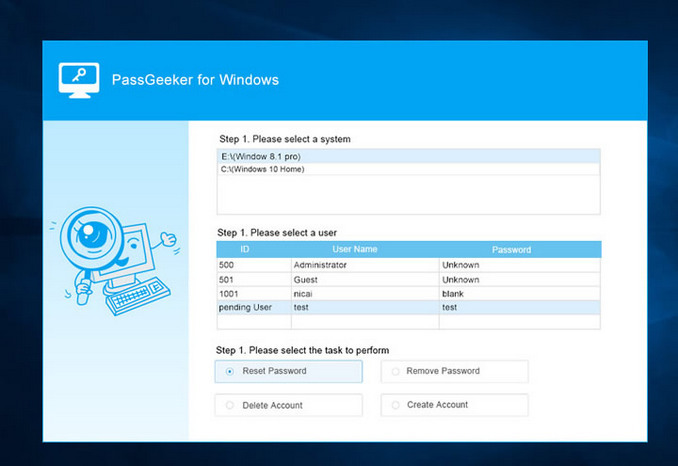 Insert the password reset disk in locked Dell laptop or PC and boot from it. Usually, you need to bring up the boot menu at startup by pressing F12 key so you can boot the devcie from external drive. 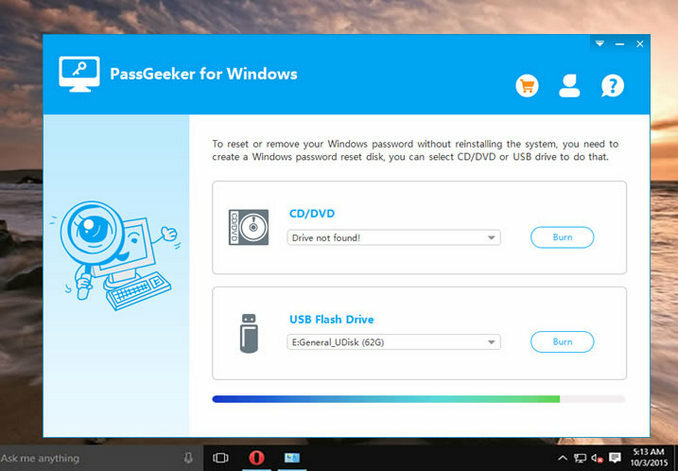 When the disk was booted, Windows Password Recovery software should appear on the main window. In there, you can select the OS and user account. Choose the user account and reset the password accordingly. Finally, take out the disk and reboot the computer. No password will be required for login in next time. It is one of the oldest password cracking utilies and becomes paid one in recent years. It used to be free in the past. If you own both MacBook and Dell Laptop, then this software is for you. Kon-Boot silently bypasses Windows login authentication without overwriting the old Windows password. The program does modify kernel while the system starts. Kon-Boot makes temporary changes in the kernel. So, the original contents of the kernel will get restore when you restart Windows. Kon-Boot works with all version of Windows. Also, able to bypass Windows 8/8.1 online authentication. 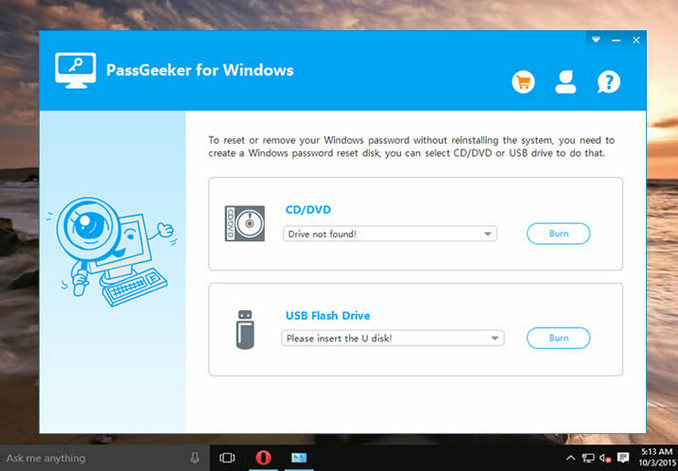 Currently, not able to bypass Windows 10 Microsoft password. Though, the software allows adding new root user in Windows 10, you need another computer to burn Kon-Boot into CD or USB Drive. Step 2: Now, You will able to see two more zip files. Extract "CD-Konboot" file, and you'll get image file inside it. Step 3: Insert a blank CD, and burn that image file using "IMG burner" software. Step 4: After burning Kon-Boot into CD, insert it into a locked Dell laptop. Andboot from it. That's it, Kon-Boot will remove the password. And, you will able to login to Windows. Note: Kon-Boot is available free for the older version of Windows. But for the newer version of Windows, you need to buy a license. Kon-Boot is available for personal and commercial use. If you have enough time to crack your Dell login password. Then, this program is useful to you. Though OphCrack isn't similar to Androidphonesoft and Kon-Boot. it's worth mentioning in here because it is the totally free. The password recovery algorithm is based on rainbow tables. According to Wikipedia, it can crack the alphanumeric password up to 14 characters. You can use Ophcrack in Windows, Linux and even in Mac OS X. But, Ophcrack is only available for Windows Vista, XP and 7. So, if you're using Windows older version in your Dell laptop, then you can download Live CD of it. Step 1: Visit Ophcrack site and click on "Download Ophcrack Live CD". Choose the correct version LiveCD according to installed OS. And click on it to download. Step 2: Now, use Rufus software and burn ISO file into USB drive. If you have a blank CD, then you can use ImgBurn to do that. Step 3: Insert USB Drive in affected Computer, boot from it. And, wait for the Ophcrack menu to appear. Make sure Graphic Mode is highlighted and hit enter to continue. Step 4: Now, wait for the Ophcrack to load from the bootable media. Within a few minutes, you will able to see Ophcrack Windows. And, after that, the software will start cracking your password. Password cracking process will take a lot of time according to the length of the password. So these are the five methods to reset a laptop password. If you are using a Microsoft account. Thenyou can use the first method. But, If you don't have access to the connected email Account. Then, the only way to reset Windows 10 online authentication is Androidphonesoft. 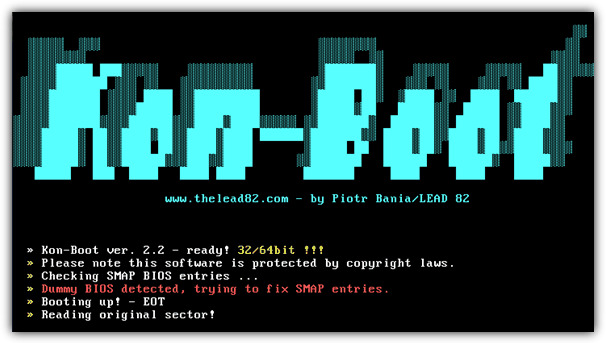 If you're using Windows 7, then Kon-boot free version and Ophcrack is the best choice. And, if data isn't important to you. Then, you can use the Dell recovery manager. The last option is factory reset the device or reinstall Windows OS.